Former President George W. Bush is the fifth president to select UVA’s Miller Center of Public Affairs to compile a comprehensive oral history of his presidency. 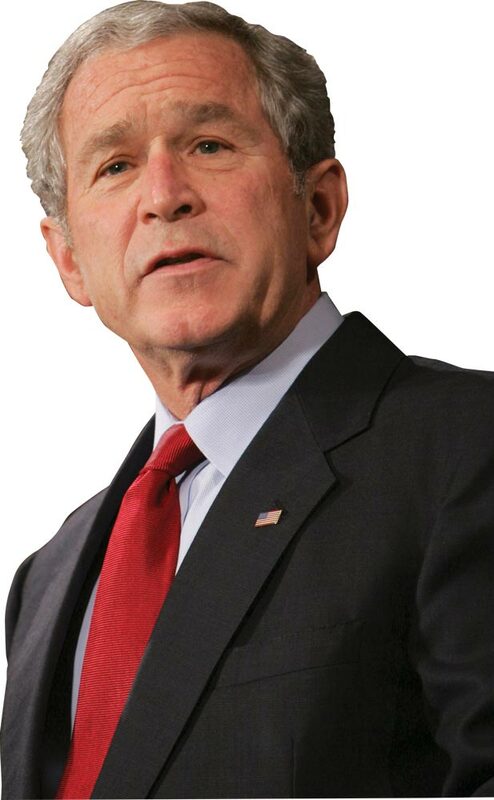 Nonpartisan scholars will conduct about 100 interviews with key figures in the Bush administration as well as with outside advisers, members of Congress and foreign leaders over the course of the five-year project. Teams of scholars conduct each recorded interview, which are released to the public only after being cleared by the interviewees. Begun in 1981, the program has taken on the presidencies of Jimmy Carter and Ronald Reagan, with the transcripts of each now available to the public. The work on the George H.W. Bush and Bill Clinton presidencies is still ongoing. The Miller Center is also working on an oral history project about Edward Kennedy (Law ’59) that includes nearly 30 interviews with the senator before his death last August. Every President Has a First Year : The Miller Center has some history lessons for the next occupant of the oval office. Will he use them? Will she?